I think political cartoons area great asset that many social studies teachers do not take advantage of the most. 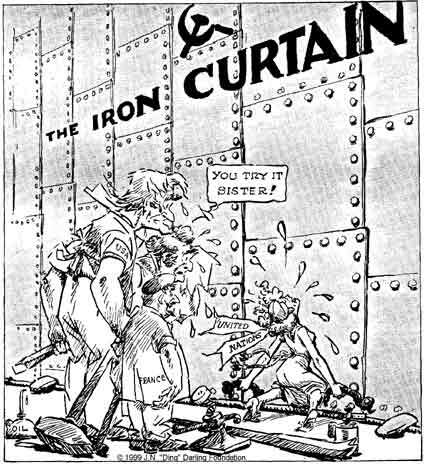 The “Iron Curtain” is a major point in our country’s history, obviously increasing the tension between the U.S. and U.S.S.R. Cartoons, as the one shown above, can really give the students a great idea of how serious the issue was and how much it impacted the world. Really liked the image.